Talk to us about our great laptop and tablet deals, we can provide all major manufacturers and help you choose what's right for you. Here at GHS we can provide any laptop manufacturer you require, but as a Dell reseller we can leverage best pricing on great quality laptops. 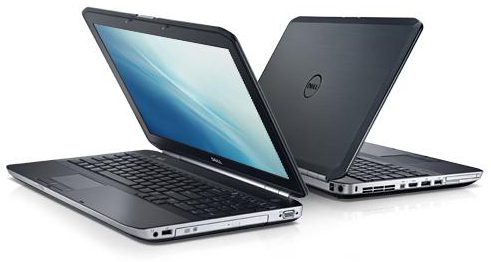 We are currently recommending the Dell Latitude range as a great all round business laptop. Take your office wherever you go with the redesigned Dell™ Latitude™ Laptops. These laptops are built for the new mobile business class with the durability, productivity, security and easy manageability you’ve come to expect from the Latitude E-Family laptops. iPad integrates with your company’s existing infrastructure thanks to built-in support for key enterprise technologies. Get secure access to email, calendar, and contacts via Exchange ActiveSync or open standards like IMAP, CalDAV and CardDAV. With support for IPSec and SSL VPN and WPA2 Enterprise Wi-Fi, users can also connect to private corporate networks. iPad inspires creativity and hands-on learning with features you won’t find in any other educational tool — on a device that students really want to use. Powerful built-in apps and apps from the App Store like iTunes U let students engage with content in interactive ways, find information in an instant, and access an entire library wherever they go. And with iBooks textbooks, iPad takes learning to a whole new level. The Standard form of tablet does not have an integrated keyboard but may be connected to one with a wireless link or a USB port. Convertible notebook computers have an integrated keyboard that can be hidden by a swivel joint or slide joint, exposing only the screen for touch operation. Hybrids have a detachable keyboard so that the touch screen can be used as a stand-alone tablet. Booklets include dual-touchscreens, and can be used as a notebook by displaying a virtual keyboard in one of them. 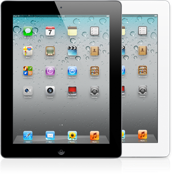 Apple released of the iPad became the first mobile computer tablet to achieve worldwide commercial success. This has sparked a new market for tablet computers and a variety of other manufacturers have produced versions of their own including Samsung, HTC, Motorola, Sony, Amazon, HP, Microsoft and many others. Competing tablets use a variety of operating systems, although the main contenders are iOS (Apple), Android (Google), and Windows (Microsoft). Windows 8 will be available on a huge variety of tablets, ranging from simple slates to fully convertible ultraportable laptops.